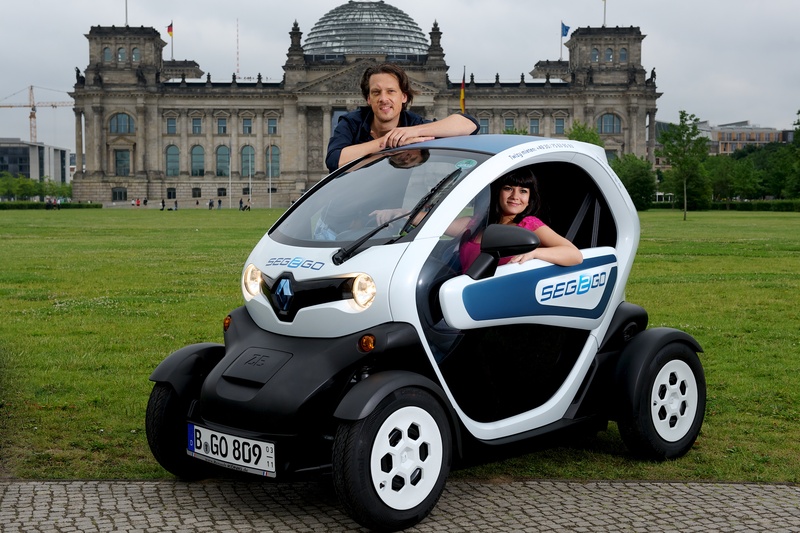 The perfect runabout for the inner city: Small, trendy, emission-free and agile like nothing else. Try it out! 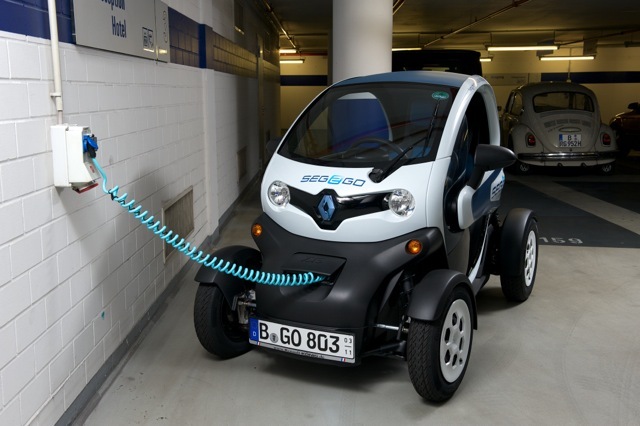 Everybody is talking about e-mobility - we use it. 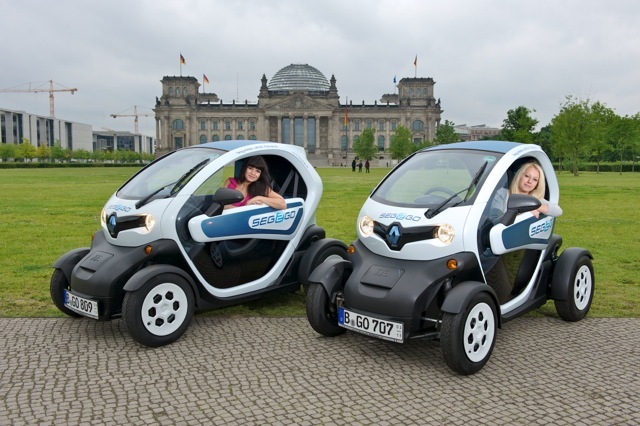 Discover Berlin in style… in a Twizy! See the city through different eyes and catch others’ attention! Simply rent a Twizy, jump in and off you go. 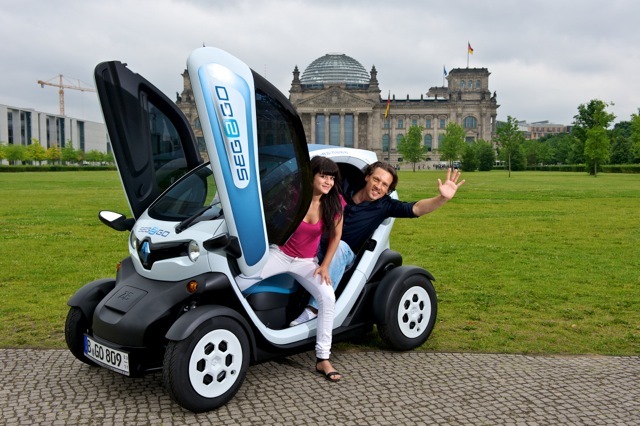 The Twizy can comfortably fit two and runs on green electricity. Silent, zero-emissions and full of emotion. The future is fun! 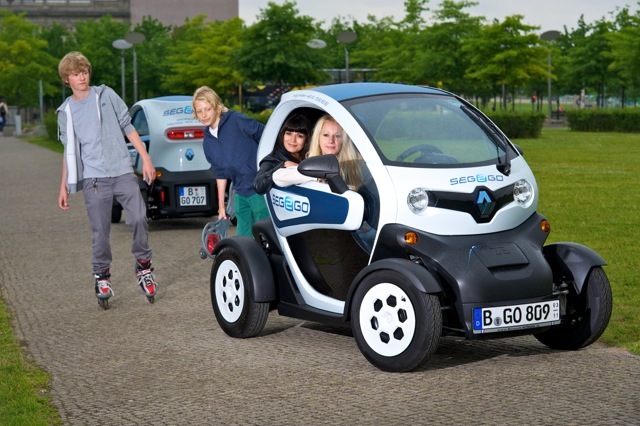 Take a Twizy for a spin on your own or team up with a local guide. Whether it’s a ride along the original route of the Berlin Wall or a trip to the golf club, whether you’re off to Berlin’s most famous department store, KaDeWe, to Berlin’s old and new centre, Potsdamer Platz, to the city of Potsdam on the outskirts of Berlin or to the famous Wannsee Lake - you decide where to go or let yourself be inspired by our suggestions. Alternatively, request a reservation with our “Arrange an appointment” button on the right-hand side. 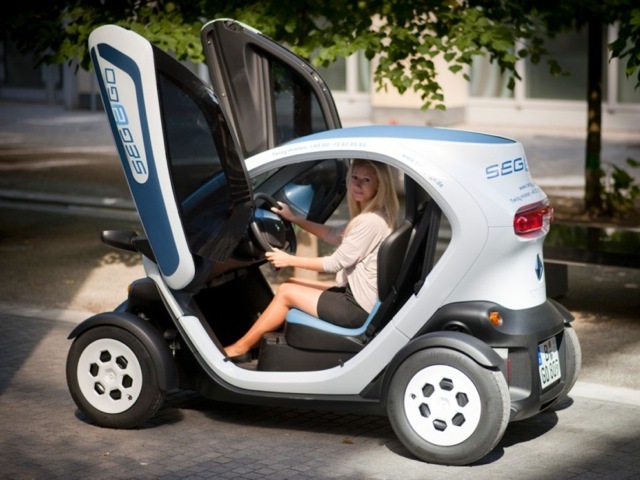 Make a reservation for your Twizy right now!